The San Francisco Housing Authority is short about $25 million, a funding gap the city must fill by the end of the year to keep thousands of low-income families in their homes. City officials learned of the deficit after a recent audit of the agency uncovered a major accounting error. Thinking it had a significantly larger budget, the Housing Authority said it spent millions on housing subsidies for extremely low-income families in neighborhoods like Chinatown and the Tenderloin. "There was some inaccurate reporting of Housing Authority expenditures," said Kate Hartley, director of the Mayor's Office of Housing and Community Development. "Based upon what was inaccurate reporting, the Housing Authority moved forward with some fantastic work, which we were very thrilled about, which was subsidizing more units for homeless households and bringing on more households with rental assistance who were extremely low income. So, they did all this great work thinking they had the reserves in place to cover it, and we realize now that, in fact, that wasn't the case." The agency now finds it doesn’t have the money needed to continue paying for the roughly 11,000 Section 8 housing vouchers it distributes to residents who rely on heavy rent subsidies. 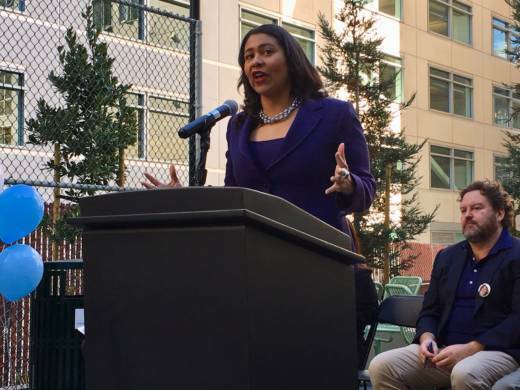 On Tuesday though, Mayor London Breed and other city leaders expressed confidence that, despite the major shortfall, they would come up with the funds in time to prevent any residents from being displaced. But Breed, who lived in the city’s public housing for 20 years, stressed the need for real reform. For decades, the authority faced severe funding shortages and serious management and maintenance problems. In 2013, then-Mayor Ed Lee replaced nearly all Housing Authority commissioners and handed over most of the city’s public housing complexes to private operators. Since then, the city has transferred ownership of about 3,500 public housing units in 29 buildings to nonprofits like Mercy Housing and the Tenderloin Neighborhood Development Corporation. Hartley said to close the current gap, about $7 million will be pulled from funding the Housing Authority was planning to use to pay for repairs at Potrero Hill and Sunnydale public housing complexes. Much of the rest, she hoped, would be covered by the U.S. Department of Housing and Urban Development. “We’re not worried about our ability to provide the necessary funding,” she said, adding that the shortfall was solely the result of honest accounting mistakes. "Nothing that was done was illegal or fraudulent or anything like that." While HUD does typically cover funding gaps for local housing authorities at the end of the year, this large an amount is highly unusual, said Jerome Brown, general deputy assistant secretary at HUD. “We will make this work because we have to make this work,” he said, noting that the short-term plan is to get the agency through the year so that landlords are paid.